A federal appeals court refused to toss bribery-related charges against Sen. Robert Menendez, ruling in a unanimous decision that the New Jersey Democrat should face trial. Menendez had asked the Third Circuit Court of Appeals to throw out the case where he was accused of accepting gifts like free vacations and private jet trips from a wealthy Florida optometrist. 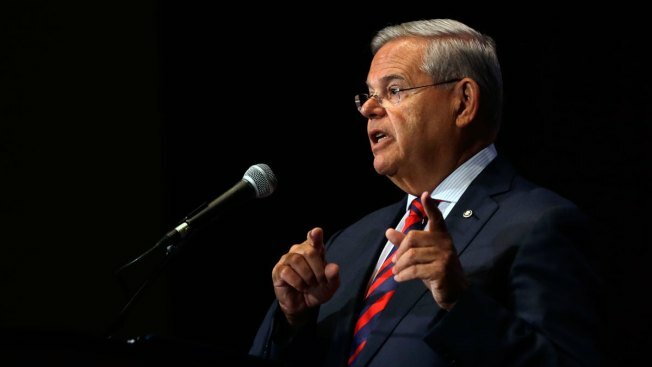 In exchange, prosecutors said Menendez urged the government to adopt reimbursement policies that would benefit Melgen, to honor a Dominican port security contract with a company in which Melgen was an investor, and to get visas for Melgen's girlfriends. Menendez’s lawyers had argued the senator’s actions on behalf of the eye doctor were protected legislative activity under the consitution’s Speech or Debate clause. In a 3-0 decision, the court wrote that it rejects "Menendez’s first argument that the Speech or Debate clause necessarily protects apparently legislative activity … The predominant purpose of the challenge acts was to pursue a political resolution to Dr. Melgen’s disputes and not to discuss broader issues of policy." Under the clause, senators are not "super-citizens" who have unlimited protection on non-legislative actions, the panel said. Non-legislative acts are defined as legitimate constituent services, assistance in securing contracts or even accepting bribes in exchange for official action. "Even if these non-legislative acts involve policy or relate to protected legislative activity, they are not protected," the court said. Friday's decision did not address the merits of the charges and noted that there is some evidence in favor of Menendez. That's for a jury to work out at trial, the court said. The Menendez ruling was being closely watched because it comes after the Supreme Court threw out the corruption conviction of Virginia Gov. Bob McDonnell. But legal experts said the issues and charges in the Menendez case do not fit neatly into the 8-0 McDonnell decision. Attorneys for Menendez have said that they intend to appeal the decision and that "once all the facts are heard, the Senator remains confident that he will be vindicated."